C.H.Erbslöh Life Sciences is proud to be able to offer you a range of excellent excipients and actives from internationally well-known producers. 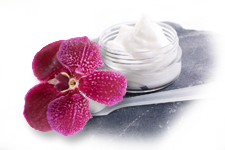 Our spectrum encompasses products ranging from technologically sophisticated and innovative active ingredients for cosmetics with proven effectivity, through pharmaceutical excipients for use in human and veterinary applications to powerful ingredients for home care products. Every day we strive to to supply you with highest-quality products which are worth their price, in the quantities and at the times you require, anywhere in Europe. You will learn to appreciate our logistic performance as much as the qualified, technical support you will receive from our expert team who will be by your side with advice and active help as you select the optimum active or auxiliary substances you need in the development of your final products. As an additional service we provide the facilities of our technical application lab to you, offering practical support and advice in all your queries.